In today’s materialistic society, it is unsurprising that those who suffer from disability, birth defects and mental illness are deemed unimportant or inferior by society. They either have to try fit in into a society that doesn’t care about them at all or choose to subtract themselves from the equation entirely. We have been taught to never judge a book by its cover and most of us understand what that means and why it is important. However, understanding is one side of the coin and practice is a completely different one that today’s society doesn’t seem to have understood yet. The problem now is that we have been conditioned to judge people merely by their appearance and possessions, as much as we would like to deny it. Such a trait is a vice, for it limits us from seeing what actually is, because the gift of life is certainly more than about appearance and possessions. When we encounter people of any disability, be it physical or mental, we tend to come to the conclusion that such people’s lives are full of misery or that they will not be able to reach their full potential. At times we consider them a burden to society, people who will never be able to live normal lives, and quickly label them as people who cannot contribute for the benefit of the greater whole. These feelings might stem from compassion, but can quickly evolve into pity, which can be more debilitating than we realise. The question is are we correct to we assume that disabled people’s lives are full of misery? Do we really have a say when it comes to how much of their potential they are able to unleash? Probing on this matter on a very profound level revealed to me that because we decide to look at things from a limited perspective, we then are blinded by the light of our own eyes. Yes, certain people may have certain disadvantages and there are certain tasks that they can’t accomplish without assistance. However this shouldn’t be a ticket to treat them like they are less than a human being, like they are less than capable and are a burden to those around them. While it is true that physical abilities are important in life it is equally true that the sheer force of will is more important. 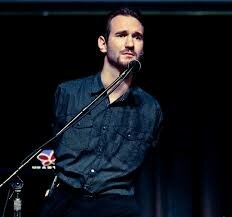 Nick Vujicic is a perfect example. He was born with the absence of all four limbs, and suffered in his early life mentally, emotionally and physically, but later came to terms with his disability and decided to make a change and start to live. Today he has accomplished more than most people accomplish in a lifetime. He now presents motivational speeches worldwide which primary focus on disability, hope and finding meaning in life. It is such a disheartening matter to see disabled people being treated like they’re not somehow equivalent to the so-called “normal people”. To make the matter worse, most countries still do not cater to disabled people, which increases the difficulty of their lives and limits their opportunities to push their boundaries. I say let us open our hearts, and treat everyone equally. No matter how society is going to portray it, the truth remains that every being on planet earth is here for a purpose. We all matter despite our differences, so let us treat each other equally and live in peace and harmony. Tags: disability, ETC., ETC. Magazine, etctaylors, inspiration, Lifestyle, materialistic, motivation, nick vujicic, society, Taylor's student, Taylor's University, Taylor's University Lakeside Campus, Taylorians, Taylors, TULC. Bookmark the permalink. Previous post ← Why Should YOU Attend the 2nd iLead Conference?